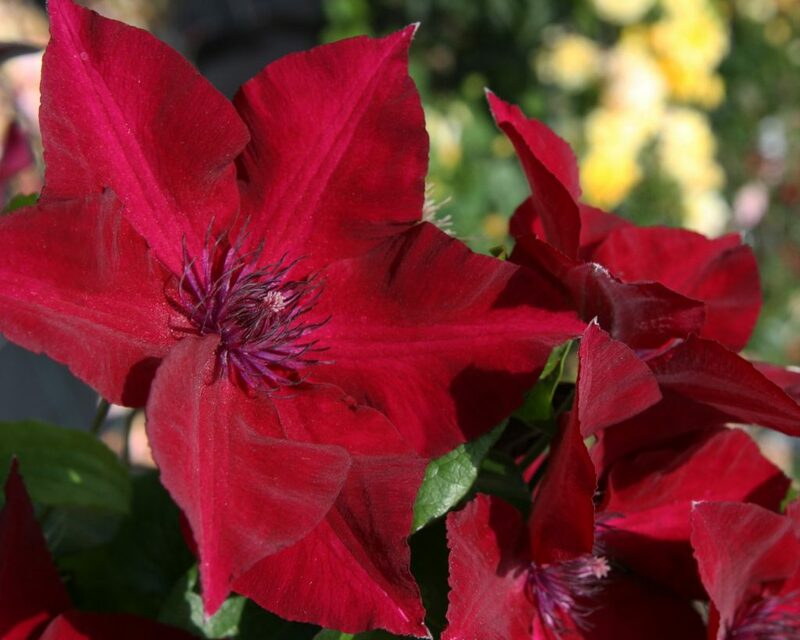 An exciting reblooming, gorgeous “red” clematis. These dark red flowers are 5″ across and bloom from June to September. The vine grows about 5′ high and will grow in full sun to part shade. It would look great in a large planter by your entryway. Since it blooms from both the leaf axils and stems, there are flowers from the ground up. 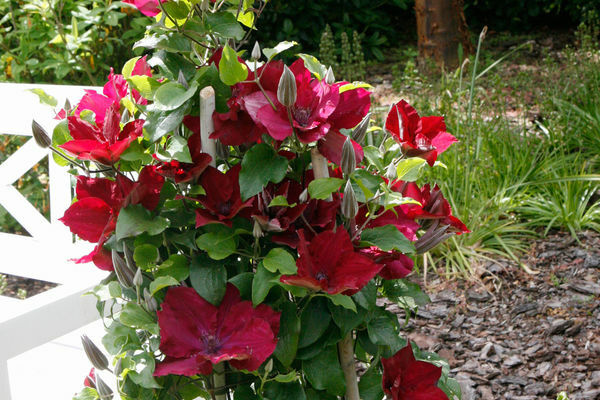 This is a Zone 4 clematis. We also have other beautiful clematis’. So stop in when they arrive to get your selection early before they are gone. This entry was posted in decorating, Flowering Shrubs. Bookmark the permalink.